Local United Soccer League club Saint Louis FC will try to end its three-match homestand on a high note this Saturday when LA Galaxy II comes to St. Louis. Kickoff at Toyota Stadium in Fenton is set for 7:30 pm. STLFC is 1-2-1 four matches into the 2018 USL season. The Galaxy have yet to take three points from a match this season, sitting at 0-2-2. Tickets can be purchased in advance of Saturday’s match at SaintLouisFC.com or by calling 636-680-0997. Saint Louis FC has announced a $10 Flash Sale on tickets for this weekend’s match. The sale runs until tomorrow night so, get yours now. Scroll down for a preview of Saturday’s match at World Wide Technology Soccer Park. 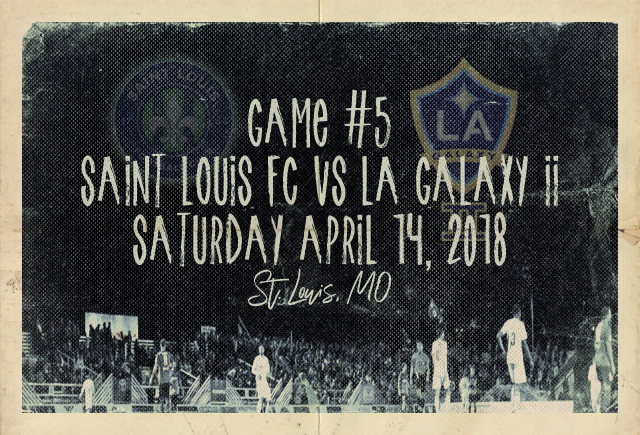 Saint Louis FC takes on LA Galaxy II this weekend in St. Louis. 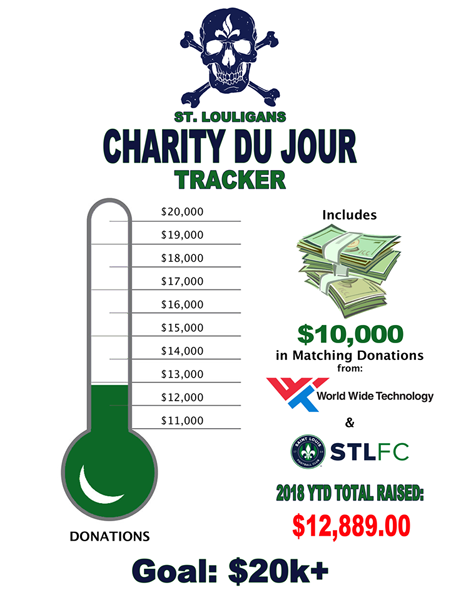 STLFC is 1-2-1 in 2018. After securing three points in the 2018 home opener, Saint Louis FC and Fresno FC played to a 1-1 draw last Saturday. Corey Hertzog converted a penalty right before the end of the first half for STLFC. Emmanuel Appiah, who played 10 games for the Chupacabras last season, has scored the lone goal for LA Galaxy II this season. The midfielder scored three minutes into the club’s 1-1 draw with Fresno FC back on March 24. Galaxy II has played more than 270 minutes of soccer since without scoring, heading into a Wednesday night match in Carson, California against Phoenix Rising FC and Didier Drogba. 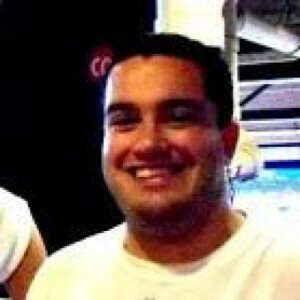 Mike Munoz is the head coach of “Los Dos,” which serves as the reserve side for the Los Angeles Galaxy of Major League Soccer. Munoz took over for Curt Onaflo, who had won 46 of his 95 games at the helm. The former midfielder for LA’s senior side has amassed a record of 8-19-5 since. No USL team has been shown more red cards than Galaxy II. Alex Mendez, Jean Engola and Justin Dhillon have each been shown a red this season. Engola and Mendez will both miss Wednesday night’s contest due to being red-carded in the previous match. Jack McBean, who scored two goals for Galaxy II when the Chupacabras visited Carson in 2016, is now playing with the Colorado Rapids of MLS. Through four regular season matches, six players have started every match for coach Anthony Pulis. Along with goalkeeper Jake Fenlason, captain Jonathan Barden, Sean Reynolds, Lewis Hilton and Sam Fink have all played every minute of all four matches this season. Corey Hertzog has also been in the starting lineup each time out. Another four players have started three matches to open the season. Wal Fall had been on the field for every minute of the team’s first three games, but was absent from last weekend’s match. In a picture shared on social media, Fall was seen sitting on the bench with a walking boot on his right foot and the caption “can’t wait to be back.” An injury update on fall has not been made by the club. Aedan Stanley could return to the pitch this weekend. The youngster played a full 90 minutes in the season opener, but then went to Spain to be part of the U.S. Men’s National Team U-20 camp with fellow St. Louisan Josh Sargent. Tony Rocha, who came to St. Louis last week on loan from Orlando City, played the full 90 minutes against Fresno FC. Expect the Tulsa University alum to see a healthy amount of playing time on Saturday. Rocha’s loan technically expires this Sunday, but it can be extended upon mutual agreement. 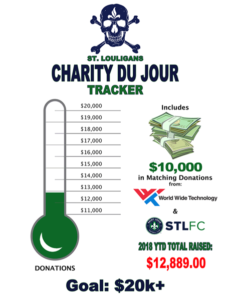 The St. Louligans Charity Du Jour tracker. After you grab your tickets to Saturday’s match from SaintLouisFC.com or by calling 636-680-0997, be sure to get out to Soccer Park early to tailgate with the St. Louligans supporters group. This week’s tailgate will start when the parking lot gates open at 5:30 pm. If you listened to the last episode of the This Is Silly! podcast, which you of course should, you’ll know that fans are reminded not to show up before 5:30 pm and try to get into the lot. The latest episode of This Is Silly! has Saint Louis FC general manager Jeremy Alumbaugh on as a guest. It’s always a must-listen when he is on. The Charity Du Jour beneficiary for this week’s tailgate is Meals On Wheels of Greater St. Louis. The Louligans have raised nearly $3,000 for charity organizations at their tailgates already this season. World Wide Technology has pledged to donate another $10,000 at the end of the season. From the first Saint Louis FC match in 2015 up until this weekend, USL matches had been streamed for free on YouTube. This weekend’s matches will be the first as part of a multi-year agreement between the USL and ESPN+ to air matches on the new streaming service. Tonight’s midweek USL matches, including the LA Galaxy II – Phoenix Rising FC match, will be streamed on YouTube. According to a collection of Frequently Asked Questions that the USL put together about the move to ESPN+, games will be available to watch for 30 days after the contest on the service. In addition, past matches will be available to watch on YouTube seven days later there. As part of the agreement between the league and ESPN, 14 games will be streamed during the season on ESPN3 as the USL Game of the Week. The full schedule was released earlier this week and STLFC will be featured 3 times over the rest of the regular season on ESPN3. The deal with ESPN will not affect STLFC’s partnership with KPLR11 in the St. Louis area. Want to know more about the ESPN+ streaming service? Check out this post on what we already know about it. Two Escobars anyone?